HitFactor 7.1.0 was available as a giveaway on February 7, 2019! HitFactor is the music-making software with everything you need to create the basis for your next song. It is step sequencer, VST-host and music notation software. HitFactor is easy to get started with and it is a very useful application for song writers and music makers. Create, compose, edit and finish your music with HitFactor. The program can automatically generate instrument melody, drum beats, chord progression, and bass line with different music instruments. HitFactor also contains a virtual finger picker a MIDI music notation module and a built-in text editor which can be employed to create lyrics for the newly written song. HitFactor contains everything you need to create songs, record and play audio files and add lyrics to Wave, OggVorbis, Wma, Mp3 and MIDI files. How would you improve HitFactor 7.1.0? Uninstall the old version and download and install the new version. You can use the following unlock code. This unlock code is valid for 2 days. Can you send me a feedback if the error is gone? Unfortunately, the "Unlock" feature has failed on some computers. I can't reproduce this error on my computers, but I think I found the cause of this error. There is a new version on the download page. (Version 7.1.0.1) http://www.beladaddy.com/downloads.HTML Uninstall the old version and download and install the new version. You can use the following unlock code. This unlock code is valid for 2 days. 0001-7B4B-3675-2921-DB95-23FA-622530-1E3E19-00 Can you send me a feedback if the error is gone? Too bad none of my VSTs are supported! I was looking for a VST host and this looked promising but I tried loading about 20 different VSTs: 64 bit, 32 bit, dll, vst, vst3; guitar amps, compressors, delays, synths etc etc, but each one got the message "not supported VST plugin". Kevin, The standard VST files have to declare the “VST Category” in the VST file. If the VST category is missing, the HitFactor will not open it because there is risk for error. However there are many good VST files which missing the VST category. Here are some links to standard VST files. While I would have preferred a keyboard alternative to the mouse input (and will go through the help files to make sure there isn't something hidden), it looks like a fun thing to play around with. I especially appreciate the notes because people just learning music need to associate the sound with the notation. For example, I can play several nursery rhymes on the piano, but I struggle to read music. This could help connect the hands to eyes. Another reason why a keyboard over mouse way to play the piano would be useful, especially if you have a midi piano keyboard. One small bug I noticed. You cannot actually turn off the notes. I clicked the note indicator at random and no matter how much I click it, the button stays checked -- On Win 10 64 bit. While I would have preferred a keyboard alternative to the mouse input (and will go through the help files to make sure there isn't something hidden), it looks like a fun thing to play around with. I especially appreciate the notes because people just learning music need to associate the sound with the notation. For example, I can play several nursery rhymes on the piano, but I struggle to read music. This could help connect the hands to eyes. Another reason why a keyboard over mouse way to play the piano would be useful, especially if you have a midi piano keyboard. One small bug I noticed. You cannot actually turn off the notes. I clicked the note indicator at random and no matter how much I click it, the button stays checked -- On Win 10 64 bit. I used this small program in the past and was pretty funny. All kinds of musical instruments could be called up and worked with the PC keyboard. Werkte nog met XP. If the sample songs on the video are any indication of what the software does, then either the operator has no musical talent or the software is just useless. I use to compose music digitally decades ago. Of course, the mechanics have changed since then. But the most important aspect of getting quality sound - to elevate the end result above amateurish midi sounds - is/was using excellent instrument samples or sound fonts. I notice that the program defaults to using the midi sounds provided by the pc which would be a Microsoft wavetable on a microsoft pc. The sampled instruments from the Microsoft wavetable sounded terrible on my laptop. I think you'd have to purchase software with better sound samples to use with this program. The other thing is that the video provided on the site seems to indicate that you can't create your own melody line? The melodies that comes with the samples are frightening, but you can only tweak the overall sound? The other important aspect is/was being able to make percussion loops with special effects. You can always get software like Fruity Loops and import the results as wave files. But this software is very expensive. I notice the program doesn't come with any VST effects only the capacity to use them from inside the program. 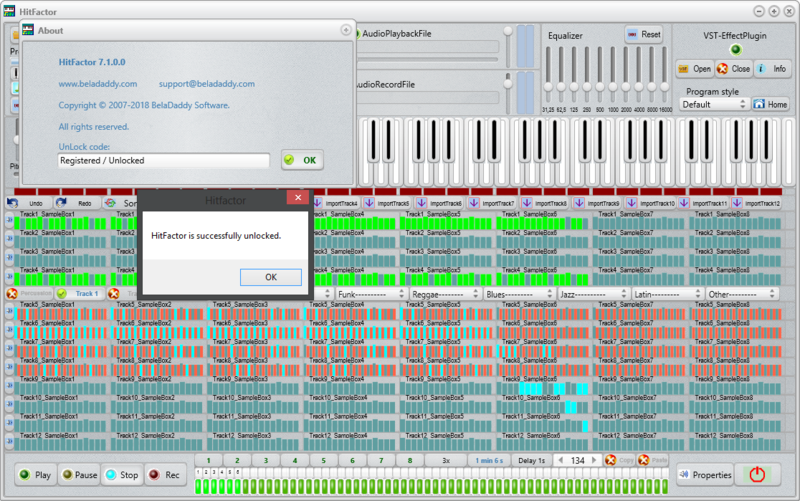 I opened a few of the sample midi files, but the melody sounded nonsense, like a key had to be chosen before playing. One nice aspect was the option to write lyrics from within the program. The above was just my experience from a 30 minute tryout. But this playing around seemed to indicate that professional sounds and the ability to write your own melody were beyond the capability of this program. Bela, that sounds very cool then. I'll give it a go. This would be a feature that would definitely improve the end results - especially being able to use a free virtual synth. Thanks! Bela, I'm trying to reverse engineer the unlocking bug and part of the process is tracking its file and registry accesses and I noticed something completely unexpected for some reason the program searches for 6000 undo .hfy and .txt files during the intialising of the program and none of those files exist... is it searching for them in order to clear the undo history from a previous instance of the program? If that is the rational for this apparently redundant search for absent files could be made more efficient by just deleting *. * all the files in the temporary folder created by the program? which by default does not exist and in this giveaway build is not created by the program but is looked for and if a file of that name is created externally the file is opened and closed twice during program initialisation but obviously not having a template for the correct string format of the file it does not authenticate as unlocked and no entry of the supplied code can prompt the program to write the unlocked data to that file... do you by any chance have a valid copy of that file or its contents we can copy and paste into it to unlock this giveaway in a persistant manner? Bela, would I be correct in deducing that in an ideal world the registration/unlocked authorised data file is: C:\Users\Public\BDRegistration\HitFactor7RegFile which by default does not exist and in this giveaway build is not created by the program but is looked for and if a file of that name is created externally the file is opened and closed twice during program initialisation but obviously not having a template for the correct string format of the file it does not authenticate as unlocked and no entry of the supplied code can prompt the program to write the unlocked data to that file... do you by any chance have a valid copy of that file or its contents we can copy and paste into it to unlock this giveaway in a persistant manner? I am not connected to the developer, but as a developer myself, I know that it often a better idea to delete only files that the program has created, even if that number is a large count. Otherwise, if a user has (for whatever reason) saved a file in the same folder, they are not too happy about finding that a later version of the software wiped their data out. It is never a good idea to irritate customers by deleting their data. TK, I am not connected to the developer, but as a developer myself, I know that it often a better idea to delete only files that the program has created, even if that number is a large count. Otherwise, if a user has (for whatever reason) saved a file in the same folder, they are not too happy about finding that a later version of the software wiped their data out. It is never a good idea to irritate customers by deleting their data. if found delete them preferably using the same wildcard. But if using that logic just try and delete them and trap the file not found error if none are found. Oh just had a thought what if two instances of this program are running at once on the same machine ... I can't test if the program allows multiple instances in the same user context as I've now uninstalled it as the dev does not seem to want to engage on this/these bugs. ANd without a persistant unlock code it is not practical to waste time learning how to make this do something musical even if it's free. Gary, This I understand and fully agree with but in this case the filenames are unique to this program with a numerical sequence and were not actually even created which is the waste of time and resources doing the equivilent of a for next loop 3000 times and looking for two file types per itteration and no logic saying the first one does not exist so I would not have left a 3rd numerical or 4th numerical version of the name let alone the 3000th file pair! One could simply do the equvilent of a DIR operation with a wildcard match C:\Users\UsersName\AppData\Local\Temp\HitFactor7Undo*. * if found delete them preferably using the same wildcard. But if using that logic just try and delete them and trap the file not found error if none are found. Oh just had a thought what if two instances of this program are running at once on the same machine ... I can't test if the program allows multiple instances in the same user context as I've now uninstalled it as the dev does not seem to want to engage on this/these bugs. ANd without a persistant unlock code it is not practical to waste time learning how to make this do something musical even if it's free. TK, Unfortunately, the "Unlock" feature has failed on some computers. I can't reproduce this error on my computers, but I think I found the cause of this error. There is a new version on the download page. (Version 7.1.0.1) http://www.beladaddy.com/downloads.HTML Uninstall the old version and download and install the new version. You can use the following unlock code. This unlock code is valid for 2 days. 0001-7B4B-3675-2921-DB95-23FA-622530-1E3E19-00 Can you send me a feedback if the error is gone? TK, Thanks for your response. Downloaded and set up OK. while playing with it, I noticed that the keyboard, while playing, say, piano, is out of sync with the notes played - eg - when playing a scale in C maj, pressing C actually plays F# below C, and the further up the scale you go, the further behind the real notes play - ie some notes appear to be allotted to 2 or 3 adjacent keys, rendering it impossible to play a tune. I'm not very savvy with Midi, so is it me, or is it the program that is at fault? Downloaded and set up OK. while playing with it, I noticed that the keyboard, while playing, say, piano, is out of sync with the notes played - eg - when playing a scale in C maj, pressing C actually plays F# below C, and the further up the scale you go, the further behind the real notes play - ie some notes appear to be allotted to 2 or 3 adjacent keys, rendering it impossible to play a tune. I'm not very savvy with Midi, so is it me, or is it the program that is at fault? Rob , The virtual keyboard visually shows the played note, but if you have a slow computer, the virtual keyboard may be unsynchronized but the notes played are still correct. You can click the Percussion button to turn off the virtual keyboard. Does not support VST instruments only VST effects i believe, which is very last century. Downloaded, Installed and unlocked without a hitch. Tried a small composition, and had some success, but need to learn a lot to get good at it. I noted a mention in this comment section about a PDF document that can be helpful. No link to the PDF was given, so I would ask that someone please provide said link, or tell me how to find it? I do plan to keep this one until such time as I can get something better. This is good for what it does, but the quality of certain sounds leaves a bit to be desired. Downloaded, Installed and unlocked without a hitch. Tried a small composition, and had some success, but need to learn a lot to get good at it. I noted a mention in this comment section about a PDF document that can be helpful. No link to the PDF was given, so I would ask that someone please provide said link, or tell me how to find it? I do plan to keep this one until such time as I can get something better. This is good for what it does, but the quality of certain sounds leaves a bit to be desired. Cheers! L. Cleveland Major, To open the pdf file, click the Help button. Hi just a idea try presonus studio site they have a free DAW that is excellent. Here the link in case you want to check it out. L. Cleveland Major, it's the button to the left called Help, basically the button left from the About button, which has been used to register the program. Once you click on it, it will open the PDF in the default program associated with PDF files. Otherwise you can find it in the installation folder (just follow the Desktop shortcut) as HitFactorQuickStart.pdf. L. Cleveland Major, it's the button to the left called <i>Help</i>, basically the button left from the About button, which has been used to register the program. Once you click on it, it will open the PDF in the default program associated with PDF files. Otherwise you can find it in the installation folder (just follow the Desktop shortcut) as <b>HitFactorQuickStart.pdf</b>. Installed with no problems on my Windows 7 64 bit computer. Registered without any flaws. Runs nice but it's just not for me. I'm not into making my own music. Thanks anyway GAOTD and beladaddy for offering this software. WOW !! This will be great fun for me, and not something to make serious music, but what fun it will be !!! The interface is very busy, with an awful lot to see, and then get figured out, but THANK YOU so much for this great freebie !!! Big fun ! lenny b: I am a musician, a fairly experienced and versatile one at that. But that does not make me a composer, something I would LOVE to additionally be! I've been in several bands and can competently play along on even complex compositions. But I can't seem to compose my own songs. Having a program that randomly writes songs is not the answer to a lack of writing talent. But it might help to provide ones like me a creative 'nudge' in the right direction to come up with my own compositions, so I'm in favor of it. Phillip, I agree. Some of us who use computer generated music composers do happen to be real musicians. It creates a way to have the music we compose stored on our computers for reference purposes. I and my brother and sister have been musicians and singer song writers for several decades. Using digitally generated music files serves to remind us of the arrangement, tempo, and other factors we want in our music. So I would say that the thought that we are amateurs is disrespecting our skills. Lenny B, please do not disrespect people you don't know. Phillip, I agree. Some of us who use computer generated music composers do happen to be real musicians. It creates a way to have the music we compose stored on our computers for reference purposes. I and my brother and sister have been musicians and singer song writers for several decades. Using digitally generated music files serves to remind us of the arrangement, tempo, and other factors we want in our music. So I would say that the thought that we are amateurs is disrespecting our skills. Lenny B, please do not disrespect people you don't know. Phillip, I strongly disagree. True art comes from the soul and is quite often channeled from a higher source. A computer has no soul, nor can it channel anything from any source, higher or lower. Therefore, it is NOT an art form. Sorry. What you have here is either a toy or a worthless piece of junk. After listening to the "samples" on the video, it's pretty clear that there is no art involved. I have installed it on Windows 64bits, Windows 32bits and even XP. It works fine. Brian, are all the installations you have persistantly unlocked? i.e. do they all report Unlocked/registered in the About dialog every time they are run or only after you fight through the error dialog to use the unlock code? so we can create it here and work around a bug we are experiencing that is preventing persistant unlocking here? Thanks! Brian, are all the installations you have persistantly unlocked? i.e. do they all report Unlocked/registered in the About dialog every time they are run or only after you fight through the error dialog to use the unlock code? If any are persistantly unlocked could you post the contents of the file: C:\Users\Public\BDRegistration\HitFactor7RegFile so we can create it here and work around a bug we are experiencing that is preventing persistant unlocking here? Thanks! Agreed. Version 4.3.0 allowed me to change the drive and top-level folder to install to. I tried the same with this version, but the only thing that was placed into the folder I chose was a file named Vinstall.log (the rest went to C:\Program Files (x86)). During the copying files phase, the dialog showed that files were copied to the C drive, both for the 4.3.0 version and this 7.3.0 version, only that the 4.3.0 version did end up in the place I specified. I noticed the setup program is different from 4.3.0 also; it fills the entire screen background and has the regular install dialog over top of it. It looks like installers used during Windows 3.x era. The product needs a better installer for sure. Dan McAllister, Agreed. Version 4.3.0 allowed me to change the drive and top-level folder to install to. I tried the same with this version, but the only thing that was placed into the folder I chose was a file named Vinstall.log (the rest went to C:\Program Files (x86)). During the copying files phase, the dialog showed that files were copied to the C drive, both for the 4.3.0 version and this 7.3.0 version, only that the 4.3.0 version did end up in the place I specified. I noticed the setup program is different from 4.3.0 also; it fills the entire screen background and has the regular install dialog over top of it. It looks like installers used during Windows 3.x era. The product needs a better installer for sure. Bobb, I tried copy/paste and enter manually (I checked No spaces), always the same error. .
Marek, please, type here what is the exact error message. When the Invalid unlock-code is displayed, I noticed that the key I had pasted in was now changed to a different number without dashes in it. I clicked a second time and the registration works. Odd behavior, but the second click works. Marek, When the Invalid unlock-code is displayed, I noticed that the key I had pasted in was now changed to a different number without dashes in it. I clicked a second time and the registration works. Odd behavior, but the second click works.
" '3867529476' is not a valid integer value "
Gary, after entering the Unlock code (from Readme.txt) and clicking OK, then Error window appears: " '3867529476' is not a valid integer value "
TK, I have already noticed that clicking OK causes the unlocked / registered information to be displayed, but only to close the program. Restarting the program, it is still in About asking for Unlock code. Marek, thanks for the further clarification, it fails to save the unlocked / registered data to the file it uses to save the license and since we don't know the syntax used in the file we cannot manually create it. There has been no further replies from Bela who I presume is from Beladaddy.com I have given up on resolving this before the giveaway expires so have uninstalled the program. Oh well wonder what's coming tomorrow! Marek, Unfortunately, the "Unlock" feature has failed on some computers. I can't reproduce this error on my computers, but I think I found the cause of this error. There is a new version on the download page. (Version 7.1.0.1) http://www.beladaddy.com/downloads.HTML Uninstall the old version and download and install the new version. You can use the following unlock code. This unlock code is valid for 2 days. 0001-7B4B-3675-2921-DB95-23FA-622530-1E3E19-00 Can you send me a feedback if the error is gone? Bela, kudos for resolving this bug without being able to reproduce it on your own machines... many developers would just throw their hands up and not try to sift through their code to find the possible logic that may lead to the bug in some unreproducable manner! This new build does not produce the old error and does create the files in the locations I mentioned in an earlier comment in a different comment thread. And of course does retain it's unlocked state now from one execution to the next. I have tried it to install on XP. It works even on XP, but you need to have a fast computer and at least 4GB RAM. I have tried it to install on XP. It works even on XP, but you need to have a fast computer and at least 4GB RAM. Installed and unlocked without problems! Thanks! Looks like fun. Installed and unlocked without problems! Jerome, You need to make sure you only Copy/paste the key without spaces at both ends. Jerome, Unfortunately, the "Unlock" feature has failed on some computers. I can't reproduce this error on my computers, but I think I found the cause of this error. There is a new version on the download page. (Version 7.1.0.1) http://www.beladaddy.com/downloads.HTML Uninstall the old version and download and install the new version. You can use the following unlock code. This unlock code is valid for 2 days. 0001-7B4B-3675-2921-DB95-23FA-622530-1E3E19-00 Can you send me a feedback if the error is gone? Intel 2GHz CPU or faster (or other compatible CPU) recommended. Midi interface and Midi keyboard recommended but not necessary. On their Website it says:- 4GB RAM (8GB or more recommended). Intel 2GHz CPU or faster (or other compatible CPU) recommended. 32 or 64-bit Windows. Windows7, Windows8 or Windows10. Windows compatible audio card. Midi interface and Midi keyboard recommended but not necessary. then click “About” button (on the left upper corner) and copy and paste the unlock-code into the “Unlock code” box. 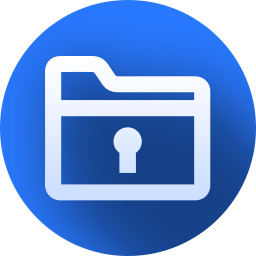 Unlock-code is in Readme file. Installation Unzip the package you`ve downloaded and install the software by running Setup.exe, then click “About” button (on the left upper corner) and copy and paste the unlock-code into the “Unlock code” box. Unlock-code is in Readme file. Invalid code / integer .. something = Don't work! Torben Larsen, Installation Unzip the package you`ve downloaded and install the software by running Setup.exe, then click “About” button (on the left upper corner) and copy and paste the unlock-code into the “Unlock code” box. Unlock-code is in Readme file. Torben Larsen, You need to make sure you only Copy/paste the key without spaces at both ends. Bela, I received the exact same error as the Original poster reported and I can assure you there were no extra spaces before or after the code string from the readme.txt file AND I just re-confirmed it by repopulating my clipboard with the exact string I used before from Clipdiary and there was no error... it apears that for some reason an integer parsing error occours which leaves an integer value in the input box after the error box is dismissed and the unlocking did take place once I OK'd the new integer value from the About box dialog. There is a BUG it is NOT a problem with the nut between the keyboard and the chair! I've been struggling with this irritating behavior (W7). - once the error message box is closed, the unlock code is replaced with a string of digits and letters (up to 95 in the unlock code) without dashes. - lastly when I tried to paste the unlock code **without** the dash, I got the "invalid integer" error again. My opinion so far : bad design, bad programming. I dl'ed the program out of curiosity. Not sure I'll be feeling curious enough to try it further. Totally agree with TK. I've been struggling with this irritating behavior (W7). My findings : - can't paste the unlock code, probably because of the dashes in it (not the spaces) - can enter the code but it leads to the "invalid integer" error - once the error message box is closed, the unlock code is replaced with a string of digits and letters (up to 95 in the unlock code) without dashes. - another click on OK leads to Registered/unlocked appearing in the box - once the program is closed and reopened, the about box mentions nothing at all (trial or otherwise) - lastly when I tried to paste the unlock code **without** the dash, I got the "invalid integer" error again. My opinion so far : bad design, bad programming. I dl'ed the program out of curiosity. Not sure I'll be feeling curious enough to try it further. Torben Larsen, Unfortunately, the "Unlock" feature has failed on some computers. I can't reproduce this error on my computers, but I think I found the cause of this error. There is a new version on the download page. (Version 7.1.0.1) http://www.beladaddy.com/downloads.HTML Uninstall the old version and download and install the new version. You can use the following unlock code. This unlock code is valid for 2 days. 0001-7B4B-3675-2921-DB95-23FA-622530-1E3E19-00 Can you send me a feedback if the error is gone? eb235, Unfortunately, the "Unlock" feature has failed on some computers. I can't reproduce this error on my computers, but I think I found the cause of this error. There is a new version on the download page. (Version 7.1.0.1) http://www.beladaddy.com/downloads.HTML Uninstall the old version and download and install the new version. You can use the following unlock code. This unlock code is valid for 2 days. 0001-7B4B-3675-2921-DB95-23FA-622530-1E3E19-00 Can you send me a feedback if the error is gone?